There is an “elite” coup attempt underway against the U.S. President-elect Trump. The coup is orchestrated by the camp of Hillary Clinton in association with the CIA and neoconservative powers in Congress. The plan is to use the CIA’s “Russia made Trump the winner” nonsense to swing the electoral college against him. The case would then be bumped up to Congress. Major neocon and warmonger parts of the Republicans could then move the presidency to Clinton or, if that fails, put Trump’s vice president-elect Mike Pence onto the throne. The regular bipartisan war business, which a Trump presidency threatens to interrupt, could continue. Should the coup succeed violent insurrections in the United States are likely to ensue with unpredictable consequences. The above theses are thus far only a general outlay. No general plan has been published. The scheme though is pretty obvious by now. However, the following contains some speculation. The CIA which has become the Central Assassination Agency under the Bush and Obama administrations. Huge parts of its budgets depend on a continuation of the war on Syria and the drone assassination campaigns in Afghanistan, Pakistan and elsewhere. Trump’s more isolationist policies would likely end these campaigns and the related budget troughs. The weapons industry which could lose its enormous sales to its major customers in the Persian Gulf should a President Trump reduce U.S. interference in the Middle East and elsewhere. The neoconservatives and Likudniks who want the U.S. as Israel’s weapon to strong arm the Middle East to the Zionists’ benefit. The general war hawks, military and “humanitarian interventionists” to whom any reduction of the U.S. role as primary power in the world is anathema to their believes. The current CIA director Brennan, a leading figure of the CIA torture program and Obama consigliere, is in the Clinton/anti-Trump camp. The former CIA heads Hayden and Panetta are public Clinton supporters as is torturer king and former CIA deputy director Michael Morell. 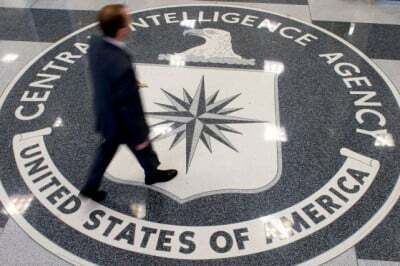 It is thereby no wonder that the CIA is leading the anti-Russian campaign. Its task now is to implant the idea in the U.S. public that Russian intervention skewed the U.S. election towards Trump. The purpose is the delegitimization of the Trump victory in the eyes of the media and public but even more so in the eyes of the electors within the electoral college. The Democratic partisan and Harvard law Professor Lawrence Lessig is pushing the electors and offersthem free personal legal support. He says the electoral college vote is now close. Could 37 Republican electors, put there by voters in their states to vote for Trump, be convinced to move from electing Trump to abstain or vote for someone else, Trump would miss the needed 270 votes. The whole election of the president would then by kicked up to the House of Representatives. Should the electors vote for Trump there is still a possibility that members of the House and the Senate could officially question that vote and cause delays or Congressional probes and legal challenges. Here are the detailed general proceedings and specifics for the electoral college as explained by the National Archives and Records Administration. Though neoconservatives have no genuine support within the U.S. electorate they have a strong hold on significant parts of Congress and the relevant MSM commentariat. Many leading neoconservatives and war hawks like Robert Kagan, Max Boot and the Washington Post editorial board came out for Clinton during the campaign. Clinton even ran campaign advertisements with Republican Congress luminaries like Lindsay Graham, Sasse and Flake. The House and the Senate majority may well be on the anti-Trump side if push comes to shove. But whatever the outcome there surely would be intense legal challenges and I expect the case to go up to the Supreme Court. By ordering a “full review” of allegations of Russian into the 2016 election process, President Barack Obama is essentially asking the IC to make an analytical judgment about the validity of the election that will place Trump in the Oval Office. The media intervention on the anti-Trump side is heavy. But first keep in mind that there is no public evidence, ZERO, that Russia indeed had anything to do with the DNC or Podesta or other leaks and the publication of emails by various outlets like Wikileaks. Craig Murray assures us that he knows that these were not hacks but insider leaks and that he knows the leaker(s). Indeed he now tells us that the emails were handed over to him during a visits in Washington. Former intelligence officials including the technically very knowledgeable former NSA official William Binney concur that the hacking story is false. All we have heard or seen so far are hearsay rumors and allegations of evidence. To me as experienced IT professional the case is technically laughable just as Murray explains here. If the claimed hacks occurred at all the alleged methods were so common that anybody could have done these. There is not even one claimed fact yet that is technically halfway acceptable as evidence that “Russia did it”. But still the NYT runs a big package of pieces telling us that “Russia did it” based on the non-factual CIA rumors and unprofessional IT assertions by Crowdstrike, the self-promoting IT security company the DNC hired and paid. Before that the Washington Post published major claims of Russian interference by anonymous officials. NBC News now tops that with “intelligence officials” saying Putin himself ran the hacking campaign. Authors of the story are the long time insider hacks Bill Arkin and Ken Dilanian known for clearing his stories with the CIA before publishing. The next story will tells us that Vladimir Valdimirovich himself was punching the keyboard. Many news outlets and editorials follow these “leads”. 3.) If objections are presented, House & Senate withdraw to their chambers to consider their merits under procedures set out in federal law. The New York Times editorial laments about Trump ridiculing the CIA fairy tales it promotes. Many people who have voted for Trump would be disgusted and outraged if or when Trump will be denied his office. Many of them are armed and would protest. Violence is ensured should the coup succeed. Trump selected four former generals to joins his cabinet and staff. Should the troubles escalate we might be roughly in for a scenario as laid out in the 1992 military paper: The Origins of the American Military Coup of 2012 (pdf) by Charles J. Dunlap.